As you probably know, the Raspberry Pi was conceived, designed and built Raspberry Pi - A Credit-Card Sized ARM Computer - Yours For Only $25 Raspberry Pi - A Credit-Card Sized ARM Computer - Yours For Only $25 Something big has been brewing in the university town of Cambridge, UK. For the past year a team of academics, businessmen, lecturers and programmers have been making final amendments to a very exciting project indeed.... Read More to provide an affordable yet functional computer for students to learn the basics of programming and software development. A more straightforward use for your PI might be to keep it wired up at home (in a custom case or one of the many boxes that are available 18 Interesting DIY Raspberry Pi Case Ideas 18 Interesting DIY Raspberry Pi Case Ideas The Raspberry Pi is an incredible computer, but its barebones design means it can be slightly fragile. We show you the best DIY cases to protect your Pi. Read More ) and connected to your local network to provide easy access to Internet radio. I'm still getting to know Raspberry Pi... Thank you. 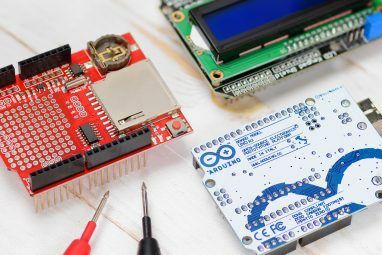 To use GPS you could connect a GPS unit to an arduino, then connect the arduino via USB to rasperry pi. Tada! This is fantastic! Raspberry Pi and Arduino ( and a lot more) are putting real computer programming and applications design in the hands of the masses. I got two of things and I am currently trying to get one up and running as just a mini computer. The idea is to eventually create a mod case where the pi is inside the keyboard case and the other will be used for an automated beer brewing station. I just like the idea that I can have a full computer in something a little bigger than a credit card. Hi James - your beer brewing station sounds fascinating, let us know how it goes! I am planning two projects with Pi's. 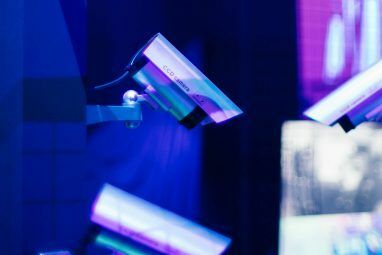 One for media center and another for a DIY home surveillance system. Will see it goes. I've started the media center, will be writing it up as my next RPi article. I'll getting one by the end of this year.....Probably be using it as an arcade machine,or the media streamer.Or maybe just for browsing use. I would appreciate it is Make Use Of could do a step by step process on how to load game emulators on Raspberry Pi. I have read a number of walk-throughs on Reddit and the forums, but they are difficult to follow. Raspberry Pi can run android and debian as far i have read ,and there is a version of dos box for both so just try to know more about that .. Thanks Beaker, we'll sort something out. 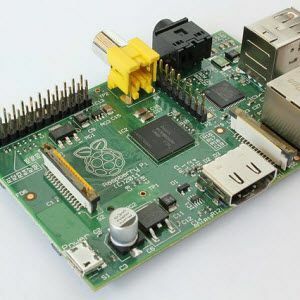 Does anyone else think it's a little amusing that the Raspberry Pi was created to help children in poor regions of the world learn programming, yet all of us 1st world people bought them all out before the intended audience could have a chance at getting one? Hopefully they can increase production. Perhaps they should have released it by region and make wealthier nations last. The initial release, without cables, case or SD cards, was intended primarily for development uses: until its release, there was relatively little software ported for the ARM platform or optimised for the device. 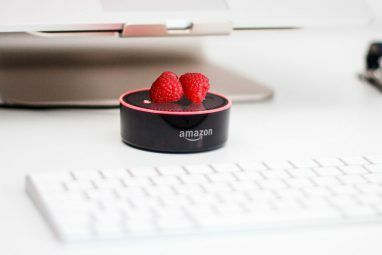 Allowing developers (and more techy members of the general public) access to the device to several months before mass production started and the retailers started selling 'all-in' versions allowed some time to get software developed for it. Besides which, one of the primary desires was to encourage children to start learning to code (hence why Scratch and Python are on the default installs - both of the customised version of Debian Squeeze and the newer Raspbian [based on Debian Wheezy]), and later this year 'all-in' versions will be sold to schools. Future releases will include more code optimised for the graphics capabilities of the SoC, more software binaries, and of course more optional hardware add-ons (the GertBoard GPIO add-on's already been released, they're working on a camera module, while there are a few other currently unused connectors). And as Daniel says, everything other than the details of the Broadcom SoC is open source - so if anyone wants to produce something similar with a different chip, they're free to have a go. Unlike some organisations (a company with a fruity name springs to mind), they actively encourage others to compete with them or even copy what they do! That's an unfortunate irony. It's a cool toy for geeks, I have to say. Hopefully the intended audience would get their hands on it soon. Damn, you're lucky. I've ordered from the UK, waited the 10 days that they asked for and then it turns out there was an error in the system, they didn't even charge me or dispatch it. They're calling me tomorrow at 10 am to order over the phone. I have repeatedly asked for a faster service with tracking (by email), but the support hasn't even acknowledged that, so I don't know how long I'll have to wait for the new unit. On the other hand, what's lucky is that I already had a 4GB SD card, but I thought I lost it, so I bought an 8GB SDHC. I then found the 4GB SD card, so then I had two. Even luckier, we had a family outing today, so my aunt came over and wouldn't you know it, she bought a camera and she had 2 brand new SDHC cards (don't know if they came with the camera or not). She gave me one. It was 4GB SDHC class 4 (the 8GB one is class 10, I have no idea of the class for the original 4GB). Now I have 3 SD cards (at least two of which are SDHC, so I know they'll fit).